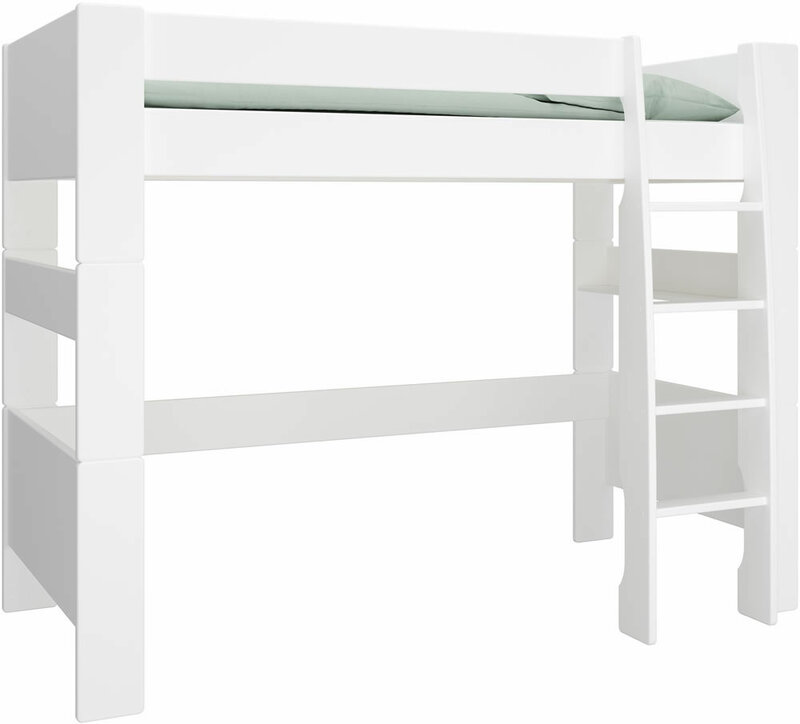 The Steens For Kids MDF high sleeper bed in a white painted finish features a sturdy step ladder and walk in under bed storage space. 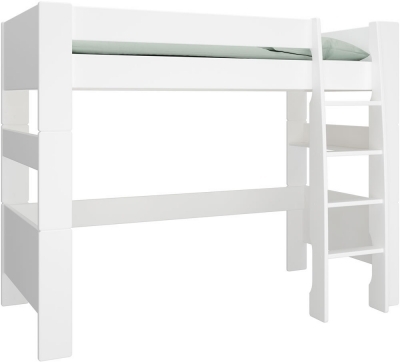 Made from good quality MDF and with a white painted easy clean finish the Steens kids high sleeper is perfect for your teenagers bedroom. The curved five step ladder offers access to the sleeping area and it can be positioned to the front right or left sides to suit any bedroom layout. As your child's needs change the Steens MDF high sleeper bed can be converted into a variety of bed combinations with additional extension kits.